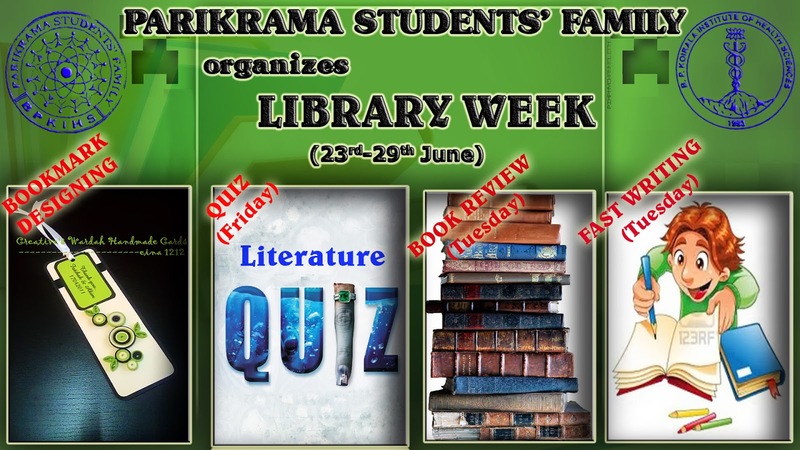 The much beloved PSF Library (of the students, by the students, for the students) will be celebrating its 5th anniversary from the 23rd to 29th June 2013. “Book Worms” have a chance to celebrate their unfathomable love for literature through various programs viz. literature quiz, Book review writing competition, fast writing competition and a bookmark designing competition. The PSF library will remain open from 6-8pm throughout the Libraray week( 23rd -28th june). New memberships can be obtained at a special charge of Rs. 50 (limited to the library week) with two photos (1 auto+ 1 PP).